It's not the most perfect rhyme, but I learned this at a very young age. I can't say how much money I've found over the years. The best random haul was when I was on a job at an elevated train stop. The project was to expand the stop as a community college had purchased the land adjacent and was going to build a new campus on it. I stood under the train platform to watch my equipment. Over the three days I was there, I must have found close to $10 in coins. People drop them; they fall through the slats in the station platform and wind up in the dirt underneath. 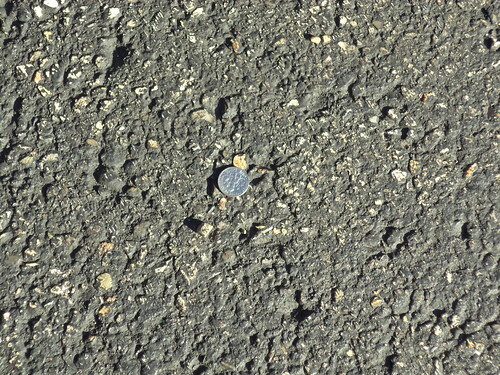 As that area is closed to all but essential personnel, the coins lay in the dirt. It was mostly pennies, nickels and dimes, but when you're finding more than your pockets can carry, it quickly adds up. Every time I pick up a penny, I recite the above rhyme. Yes, I'm superstitious. So what do I recite when it's 10 pennies?